Now that we’re staying in the Cottage for a bit longer, we’ve got a lot to do to make it livable for our little tribe. It’s a small two-bedroom, one bath cottage. Hardwood floors. Original molding and light fixtures. It’s really charming. But it’s only got one bathroom. For four people and two dogs (who don’t use the bathroom, but take up more than a little space in the other living rooms). The good news (because isn’t there always good news?) is that we have a double lot, so we have a lot of space to build and expand behind the house. But additions and renovations will have to wait until the Spring, as we’re in Montana and just about to turn the corner into Winter. And building just doesn’t begin in Montana in November … no matter how fast the builder. So I just have to keep my head focused on what we can do right now. Like open up the wall between the kitchen and living room to make the space more family friendly. I was prepared to let the garlic go for this year since we were looking to move. So I didn’t make it to any of the local seed stores to get hardneck garlic seed cloves. 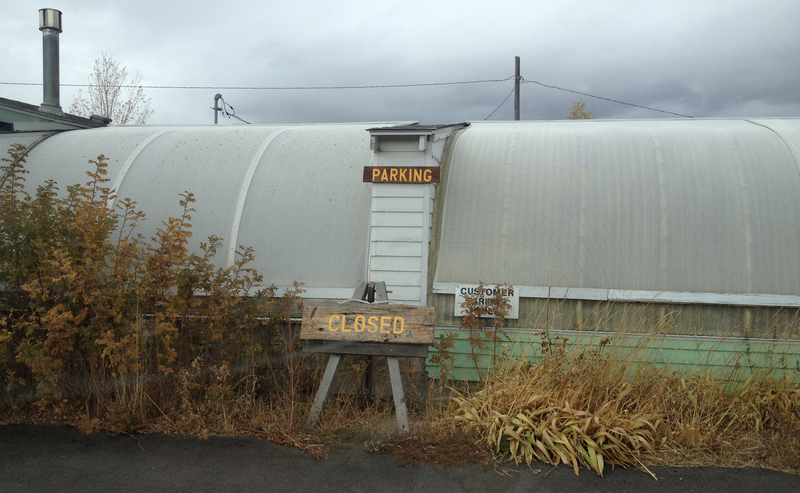 And now all the greenhouses are closed for the season. Except Cashman’s … which stays open all year. But they don’t have any garlic left. And they suggested I check out Montana Stinking Rose, because that’s where they get their garlic. But MSR is out of stock. Wild Rose Greenhouse is closed. 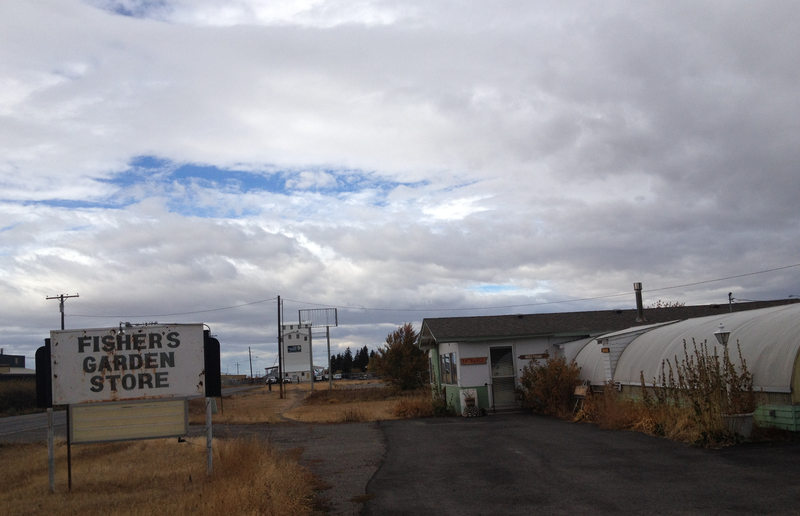 So is Fisher’s Garden Store. Judy said they might paint their sign next year … but she hasn’t decided yet. I really wanted to buy local. But that didn’t seem like it was going to work out. So I did what any self-respecting home gardener/blogger would do. I turned to the almighty internet. And was shocked to find out that most of the online suppliers are out of stock, too! I knew I was late … but man … really? Finally … I found some Organic German Red Garlic for sale at groworganic.com. And I placed my order. About 10 minutes after I placed my order (and paid way too much in shipping and handling), I got a call. Judy from Fisher’s Garden Store. She said they were closed for the season (which I already knew), and that she was in the middle of seed-harvesting (which I didn’t know), but that she had about 6 extra bulbs of garlic that she’d be willing to give me if I could make it out to her place in the next 45 minutes. Fisher’s is about 30 minutes from town, not far from the airport in Belgrade. So I loaded up the gang (which took about 12 minutes) and 42 minutes later walked into a closed shop whose floor was covered in a huge harvest of acorn squash, onions, cherry tomatoes, butternut squash and a plethora of gorgeous goodness … in fact, every surface was covered. Tables, boxes, crates, shelves. 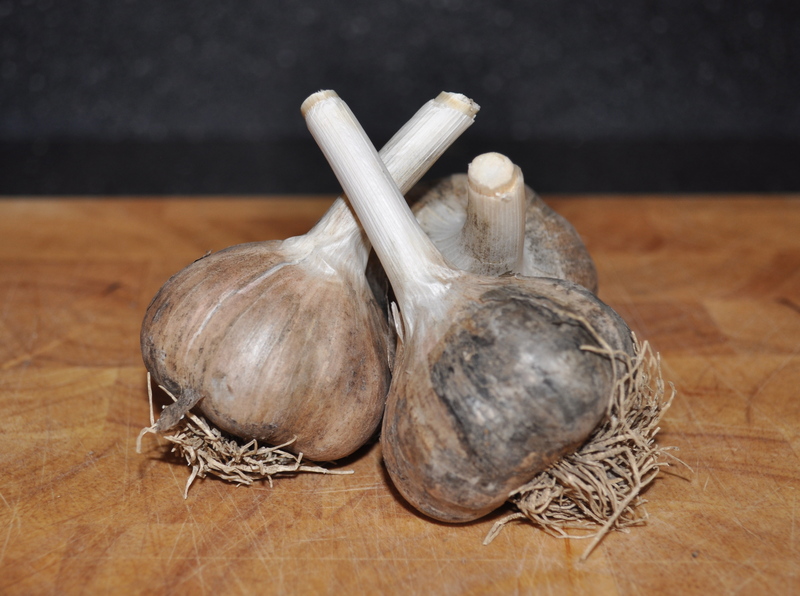 So when I walked out of her shop with three beautiful bulbs of some hardneck garlic variety (no idea what kind it is, but she gave me a one-page how-to for how to grow and harvest it in this climate), I was happy happy happy. They don’t have a website. She doesn’t have a cell phone. All of their seeds are cleaned and packaged by hand. Her seed bags are printed from her computer. And she handles all the distribution herself. When she’s in the garden, she’s in the garden. And that’s how she likes it. She might paint their sign next year because it’s been more than a decade, but she doesn’t want to be the next Planet Natural. She doesn’t want to compete with Home Depot. She wants to do things her way. Which is why she can decide to call people back and open her store to sell a late-bloomer a few late garlic bulbs if she has ‘em.